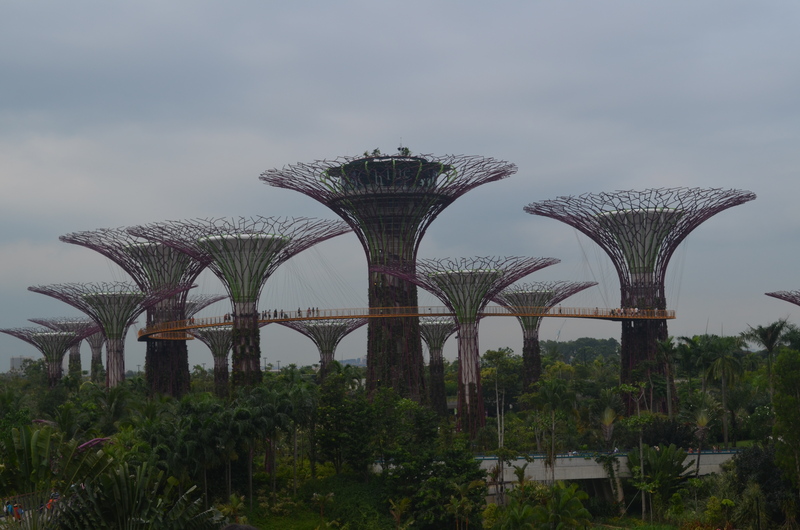 It is our third day in Singapore and our itinerary for the day was to go at Gardens by the Bay and at the famous Merlion statue. Before that we went to Bugis market early in the morning to buy “pasalubong” for our family and friends. After shopping at Bugis market and Ion Orchard Mall we went at Gardens by the Bay. 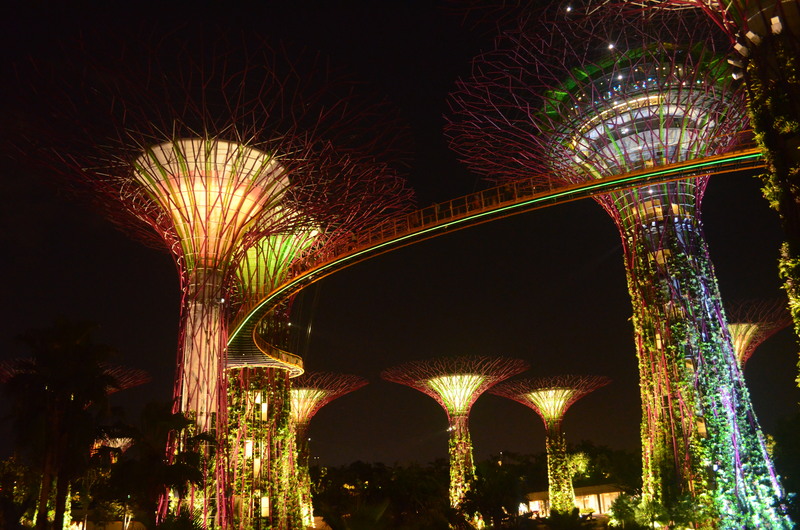 Here you can enjoy lots of attractions like Flower Dome, Cloud Forest, Heritage Gardens, The Word of Plants, Kingfisher Lake, Dragonfly Lake, Bay East Garden, Children’s Garden, and the OCBC Skyway also known as the Super Tree. Super Tree at night. Lights and Musical show starts at 8:45 PM, a must see. You can see that there’s a bridge from a tree to another tree. Yes you got it right! You can go up there and enjoy the view. Ticket prices are 5SGD for adults and 3SGD for kids. Unfortunately, that time we didn’t had the chance to go up but we did on my second trip to Singapore. Sorry for the blurred photo. See those people? Soon! Wish me luck. Hehe. Gardens by the bay is near Marina Bay Sands you can just walk at the connecting bridge to get there and you can also enjoy this view! 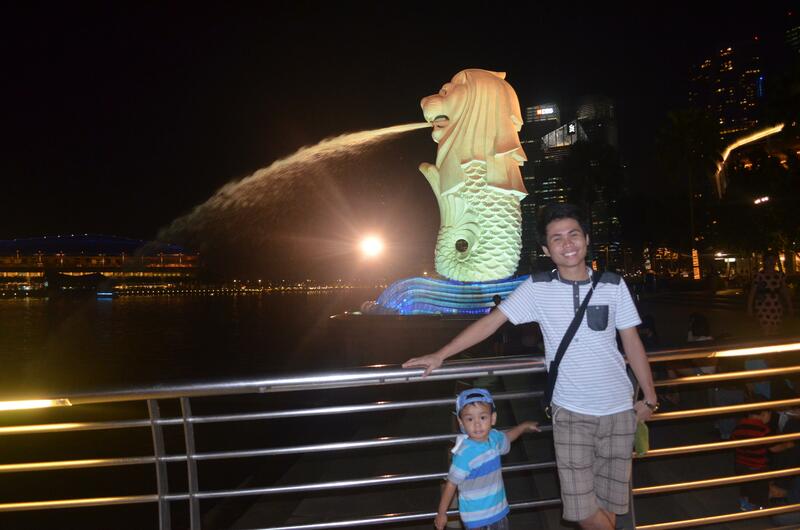 This trip will not be complete without a photo of the Merlion. LOL. 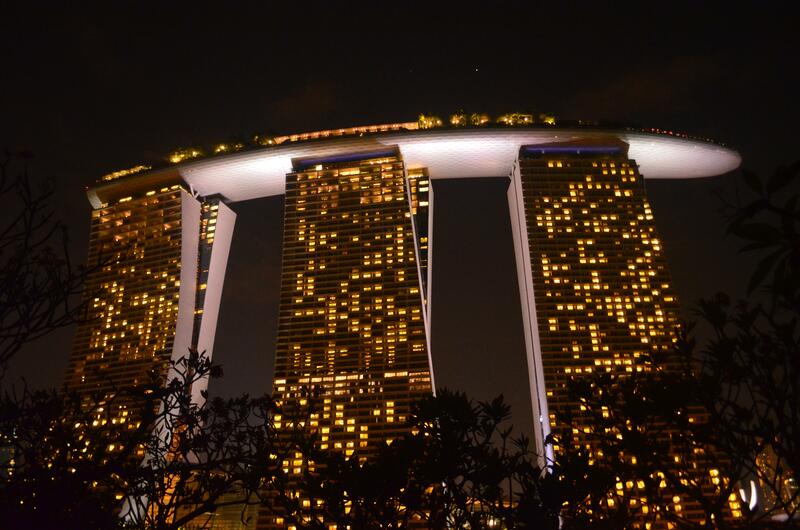 This entry was posted in International, Travel and tagged Gardens by the Bay, Marina Bay Sands, Merlion, OCBC Skyway, Singapore, Super Tree. Bookmark the permalink.